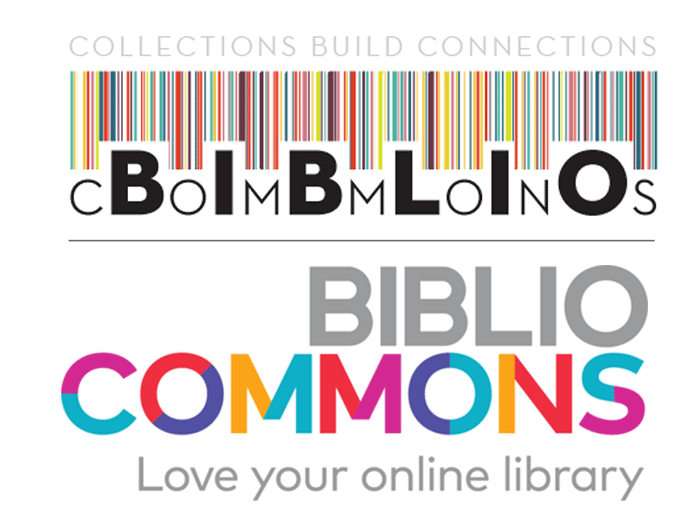 It’s been a decade since the Canadian library OPAC / website company, BiblioCommons was founded. The original logo had a basis in the barcode, at the time (and for many libraries still) a standard way that books and catalogues connected1 When discussing why it was time for a brand refresh, though, the BiblioCommons folks point to the pretty significant issue with the original logo, “And even at full scale, it wasn’t the easiest to read. Anyone who has staffed our booth at a conference is an old hand at helping puzzled passers-by decipher the meaning of ‘cBoImBmLoInOs'”. The new logo is much more readable, and emphasizes the ‘commons’ using colour and letter pieces, which is rendered more vivid when compared to the grey ‘BIBLIO’. The rebranding reveal page calls the new font choice “a more organic humanist font”, but I would argue that the font reads more like a geometric font like Futura. Many of the letterforms are similar to a font like Proxima Nova, which is a modern geometric style. The new tagline, ‘Love your online library’, riffs on the common love your library idea that many libraries have used to promote various initiatives (and a few steps away from ALA’s I Love Libraries campaign or the Love Libraries campaign featured in a previous post). It’s a nice enough sentiment, but I wonder if it’s not quite unique enough to be distinctive, or that it encapsulates the idea of community and collaboration that the logo is trying to evoke. On the other hand, it tells you immediately what they are in the business of making and selling. Overall, though, this is a significant improvement that will help this brand stand out in the crowded library marketplace. New brand art, featuring various icons and lines. 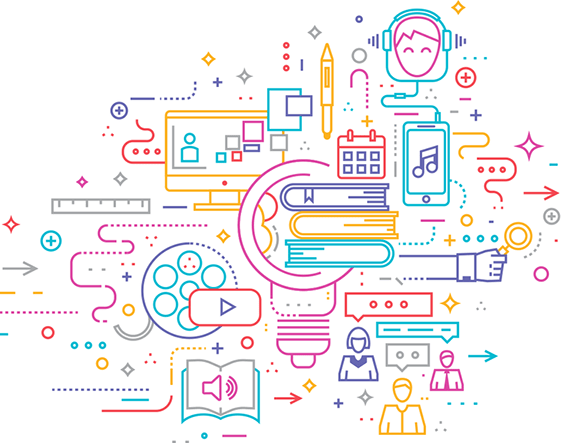 Similar icon design is used in promotional material.